Visiting teams can access their tournament schedules, rink locations, and rink directions from our website, mobile website, or our free app. 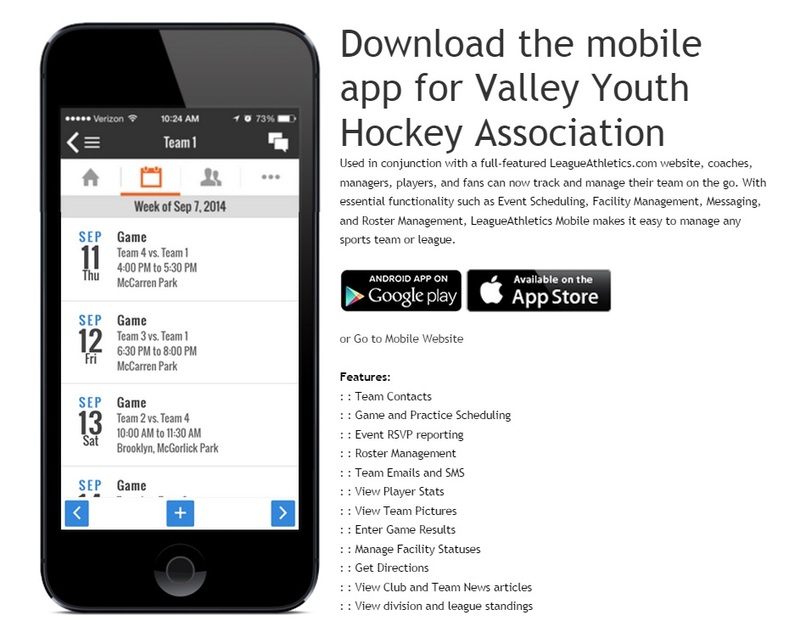 To look at your individual team schedule from our website, first go to www.valleyyouthhockey.com, then select your team from the Teams tab (screenshot below). When you are in your team page, click on Teams again to see your schedule. The mobile version of our website is grey and will come up by default on your phone browser. Or, you can download our free app from HERE. Best wishes for a fun and successful tournament!